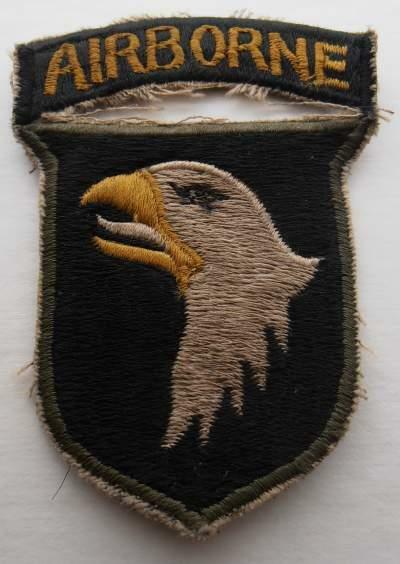 What is the significance if any of the 101st airborne patches which have a green OD surround? This patch has a white tongue also and a fixed Airborne title with a black surround? You most likely know this site already but if not maybe it can help you further with identification.